For the toddlers who love blue, we’ve got a gift set just for you! This mermaid tail skirt & swim top in our Arctic Blue design! Gift set also includes extra surprises for the ultimate mermaid experience. 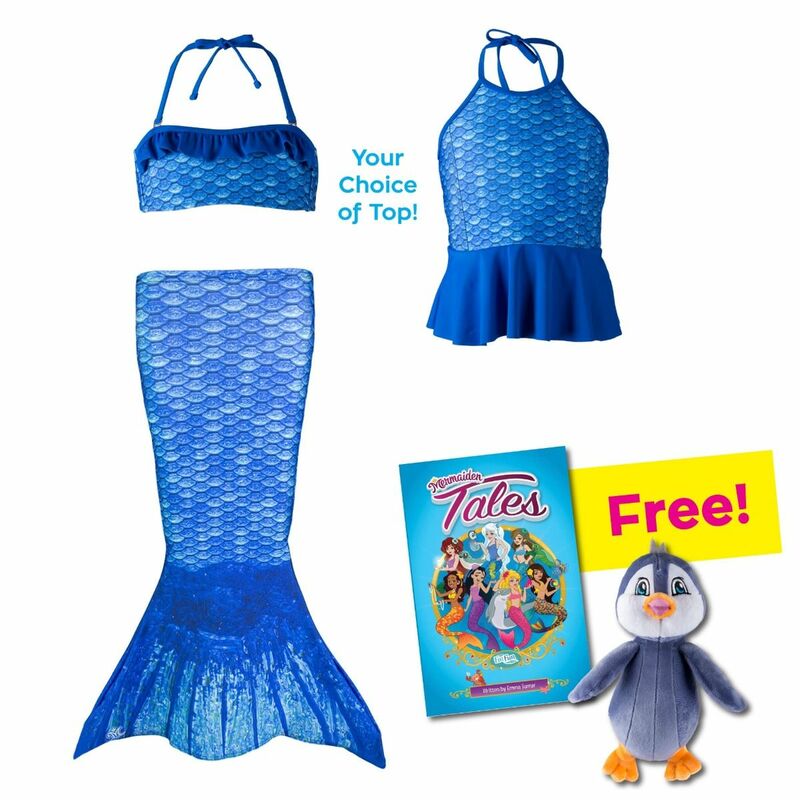 For your toddler who dreams of mermaids, surprise her with our special holiday bundle featuring a dazzling Arctic Blue Mermaidens design! Once she discovers the mermaid tail skirt and matching swim top flowing with water-like scales, she’ll easily imagine the mermaid life dressed in her new outfit. Even days indoors become memorable once she dives into dress-up time with her mermaid tail outfit! She can play with her FinFriend Pepper the Penguin and learn all about Mermaiden Crystal, Pepper, and the rest of the MerWorld in the Mermaiden Tales book, an added bonus to this specially created gift set for toddlers.